Best Pillows For Side Sleepers - What Pillow Is Right For You? Sleeping on your side is perhaps the most popular sleeping position whether it’s keeping your body straight, or curling up into a fetal position. Along with the ability to relax for the night, you may also need that extra bit of comfort with a specially designed pillow. While we generally spend most of the night in the same position we fall asleep in, minor tosses and turns are completely normal. Therefore one of the following pillows for side sleepers will help to relieve pressure on your body throughout the night. This high quality knee pillow for side sleepers is designed for those who suffer from knee pain and require gentle cushioning. As well as alleviating knee pain, it has also been found to help those with hip problems as it provides better hip alignment. Perfect for those who sleep on their side, this memory foam knee pillow provides the extra cushioning you need for your knees throughout the night as well as relieving pain. A great item for keeping you comfortable regardless of what position you sleep in, this body pillow will support back pain and other discomforts for a better night’s sleep. Another fantastic pillow for side sleepers is this effective leg support pillow. 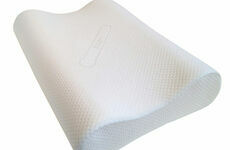 This support pillow will elevate the legs to provide high levels of comfort. For those who sleep on their side but require a little elevation in bed, this wedge pillow is the perfect solution. 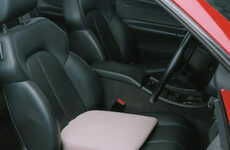 Made from high quality foam, the pillow is extremely versatile and can also be used to raise your legs. Although you may not pay much attention to the position you sleep in at night, it is actually more significant than you realise. 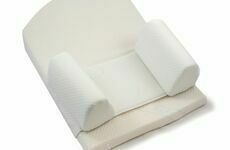 So to ensure a more comfortable night’s sleep wherever you are, browse through our range of support pillows for side sleepers.